Preheat oven to 400°. Spray a glass casserole dish with vegetable oil or lightly grease. 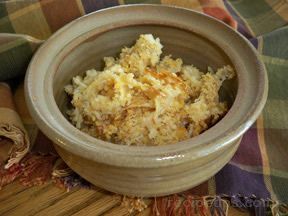 In a large saucepan, sauté onion and celery in the butter or olive oil until vegetables are barely soft, but not mushy. Add mushroom soup, milk, and peas. Bring to a simmer, stirring to dissolve soup. When it begins to boil, turn off heat and gently fold in tuna . 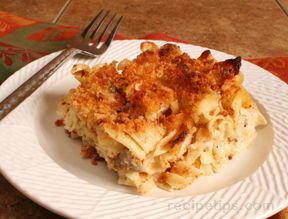 Add cooked pasta noodles and toss to coat with sauce. 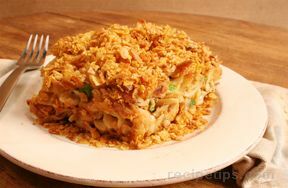 Pour into prepared casserole and top with bread crumbs . Bake 30 to 40 minutes until heated through and topping is golden brown.